There are some newer faces at Nova Communications, and we are excited to welcome them to the team. While only for the summer, Nova is proud to have two co-op students learning about the industry through hands-on work with our highly skilled team members. 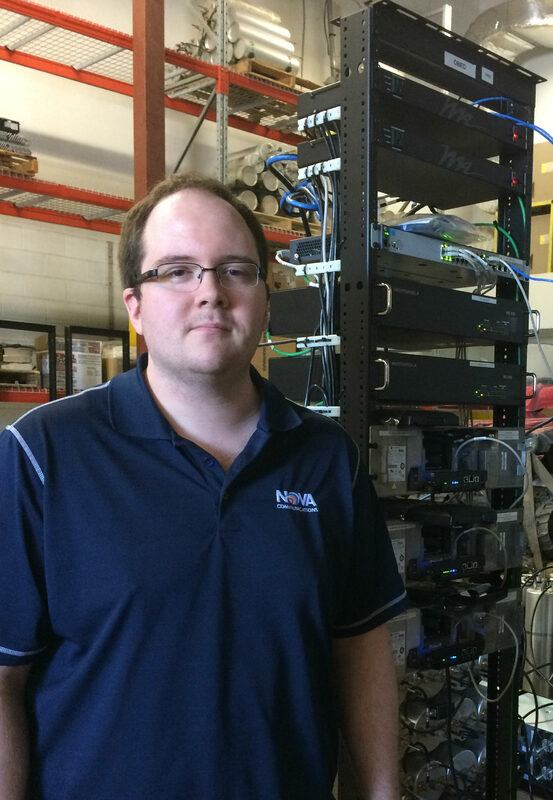 As per tradition, Nova has taken on a student from the Nova Scotia Community College to work at our facilities and learn the ins-and-outs of the electronic industry. Peter Bates, an NSCC student, joins the Nova Communications team this summer as a co-op student. Peter Bates joins us this year in that role, hailing from the Pictou NSCC campus, where he’s studying to be an Electronic Engineering Technician. Going into his second year in September, Peter said he’s taken the basic foundation he received in his first year and to a new level at Nova with lessons in installing radios, antenna work, programming and replacing plug-in systems, which has really given him a grasp of what it’s like to work in the electronic industry. His learning doesn’t stop there. In the next two months, the goal is to give Peter a well-rounded understanding of the industry and the workplaces within it, while also taking his learning to a new level with teaching him about installs, ground connections and, eventually, wireless access points. The tradition has been expanded to include New Brunswick. After Nova Communications purchased Speedy Communications last year, we saw an opportunity to work with the New Brunswick Community College to find a recent grad to work as a full-time junior technician in our Moncton office – to hopefully join the team at Nova soon. New this year, however, is an introduction of a computer science student to the mix, to work with the Engineering Department at Nova Communications. Meron Kibrom, now in his third year at Dalhousie University, will be working in the Nova office until September, and is part of a three-person team developing a prototype for remote monitoring of repeaters and sites. As the Internet of Things phenomenon takes hold, and the way we send and receive data changes, Nova has strived to keep its staff and company to those high standards. This mission to develop a prototype continues down that path. 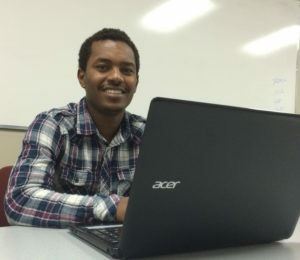 Meron Kibrom, a computer science student at Dalhousie University, joins the Nova Communications team this summer as a co-op student. As such, Meron is working on coding elements of the project, a very hands-on task and an opportunity to bridge the gap between Computer Science and Engineering. This signifies the move by Nova Communications into the future, taking 32 years of experience under our belt, and further developing a product we know so well. With a long-term goal of being involved in software development, project management, design and testing, Meron is working to creatively solve problems in development and the communication involved in allowing these systems to work through computerized programs. In the faces of our full-time staff, also, Nova has four former NSCC students working in our facility, all of who are receiving training opportunities in various skills to ensure a well-rounded work experience day to day. So, next time you order a product from Nova Communications, or need radios programmed, you could be molding the future generations in Nova Scotia. Both Peter and Meron intend to stay in the province after completing their schooling and, you never know, could be future faces on the Nova Communications team.